A body has been recovered from a New Jersey canal and authorities reportedly believe it is that of a missing bartender last seen on Saturday. Philly.com reports that Sarah Majoras, 39, was last seen at 2 a.m. Saturday crossing the Delaware River on a bridge that links the communities of New Hope, Pa., where Majoras works as a bartender, and Lambertville, N.J., where she lives. Hunterdon County, N.J., Prosecutor Anthony Kearns said late Wednesday that a body had been recovered from the Delaware & Raritan Canal. He said investigators are still trying “to find out what did occur” Saturday morning sometime after 2 a.m. when Majoras left a bar. More at Blink on Crime. 39 year old Sarah Majoras has been missing since early Saturday morning when she was last seen leaving John and Peter’s after 2 a.m. Saturday. 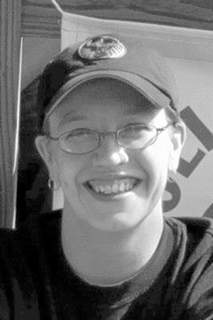 Sarah Majoras is a bartender at John and Peter’s, but was out with friends the night she disappeared. 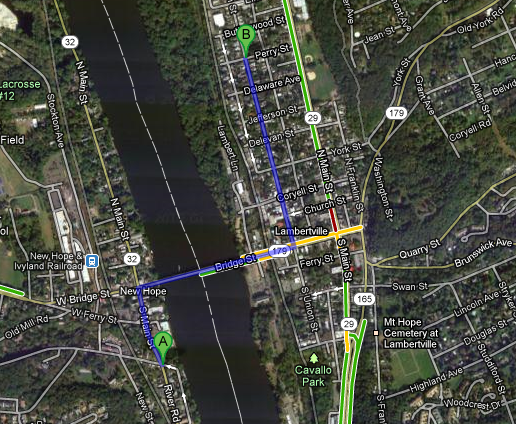 According to friends and co-workers, Majoras left on foot and was headed towards the bridge that separates New Hope from Lambertville, NJ to cross back to her home in Lambertville. Sarah shares a place with her boyfriend on North Union Street in Lambertville, NJ. She never made it home and she never showed up for work the following day. Her boyfriend, Adam Baker, called the bar looking for her when she did not return home. Sarah Majoras was last seen wearing a green camouflage jacket, white knit hat, and glasses. Gabriel said that search parties had been out looking for the bartender, who Gabriel called a fixture in the community. If you have any information, organizers of the search ask that you contact the New Hope Borough Police Department, the Lambertville Police Department or employees of John and Peter’s at 215-862-5981. As the search for Sarah Majoras, 39, continues, holes were cut in the ice of the D&R Canal and scuba divers went in this afternoon, Jan. 27, but found nothing before they quit at dusk. Lt. Frank Nester of the Garden State Underwater Recovery Unit of Milford said that the underwater search was made at the request of Lambertville police. He said the police had specified the sites, which were north of Coryell Street.